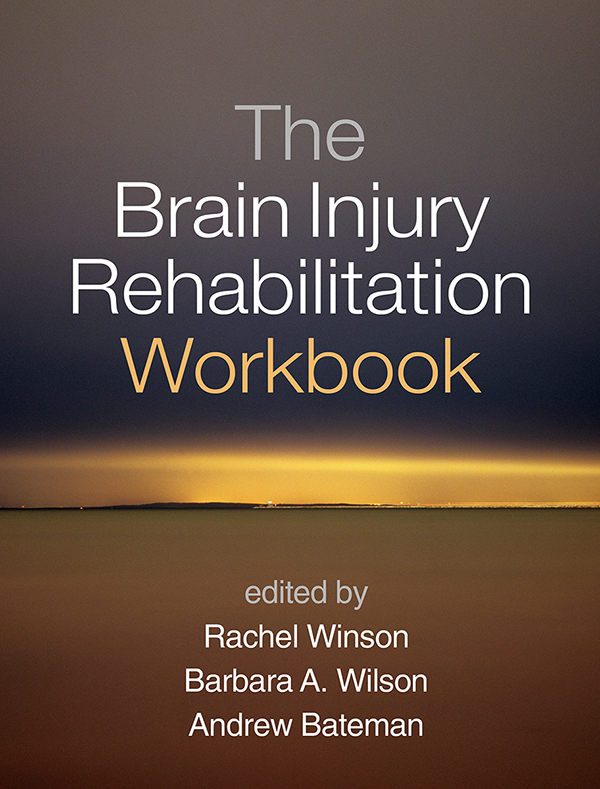 Grounded in a holistic approach, this state-of-the-art workbook provides tools and resources for supporting clients with nonprogressive brain injury. Effective strategies are described for building skills and teaching compensatory strategies in such areas as attention, memory, executive functions, mood, and communication. Particular attention is given to facilitating the challenging process of identity change following a life-altering injury. In a large-size format for easy photocopying, the volume features 93 reproducible client handouts. Purchasers get access to a Web page where they can download and print the reproducible materials.